Borr Drilling Limited (Borr) announced earlier today that it has completed the purchase and taken ownership of the jack-up newbuilding, Hull No. B378 (formerly named Hakuryu-15), for a total consideration of USD122 million from BOT Lease Co., Ltd. The original ordering price of the rig was approximately USD240 million. An important criteria for the transaction was a quick settlement before March 31, 2019 and the acquisition has been fully financed through an expedited establishment of a new secured financing facility arranged by two Nordic banks. The purchase of Hull B378 should be seen as an opportunistic deal, with the target to acquire a high specification rig at what we consider a very attractive price. The transaction does not indicate that Borr has a strong strategic desire to significantly increase the size of its existing fleet. With a largely homogenous fleet of 30 premium jack-up drilling rigs, the Company has established a foundation which provides strong cost and operating benefits compared to our competitors. Borr’s focus on premium jack-up drilling rigs has made it possible to achieve the strong growth witnessed from 2018, keeping technical utilisation above 99% and keeping an industry leading safety standard. Hull B378 is a KFELS Super B Bigfoot design and will need approximately six months to be operationally ready from the yard. The rig has 2,200,000 lbs hook load capacity, 75 feet cantilever and significant crane capacity which makes the unit ideal for drilling of deep HPHT wells. 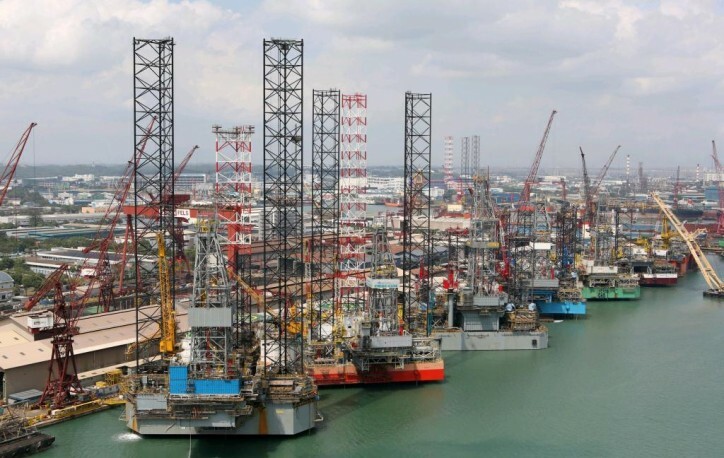 The rig is of similar design as the five newbuildings Borr bought from Transocean. Two of these five units have been delivered from the yard and both units have as stated in today’s fleet report received LOIs for multi-year contracts at attractive terms. Borr believes that the acquired unit is well positioned for contractual work at attractive rates. Market rates for term works for similar units is currently estimated to generate an EBITDA in excess of USD 20 million per year. This morning, the Company has also announced an updated fleet status report. As disclosed in the report, Borr has now increased the number of contracted and committed units from zero at the beginning of 2017, to a total of 18. The company expects to, based on having 18 rigs in operation, be generating positive cash flow after taking into account operating cost, layup cost for the remaining units and financing cost.